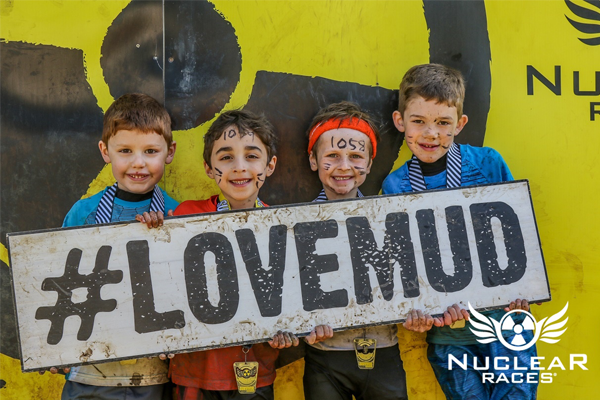 At Nuclear we welcome teams & groups to take part in all our obstacle race events. 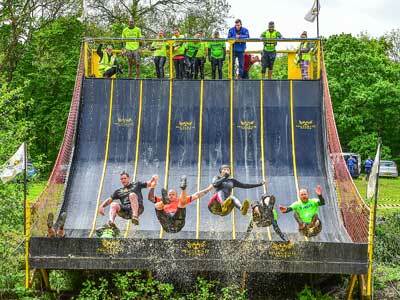 Working within your team and outside of it is what obstacle racing camaraderie is all about! IS YOUR CHILD PART OF THE TEAM? If yes, book your child on as the team captain. All correspondence will go to the email address attached to that child’s booking. From there you will have access to the TEAM CAPTAIN options. I have no children participating in this team. In this case email damian@nuclear-races.co.uk to set up a team. As the TEAM CAPTAIN select the event you would like to enter. Enter the number of places you would like to book or hold, minimum is 5 team members. Please include your entry in the team size. Select private or public. Private teams will require a password to join; public teams do not require a password. At the bottom of the form you have the option to finish and pay for your space or add the details of another team member and pay for them (you and the extra team member will take up two of the team size you selected earlier). Once you have paid, a confirmation email will be sent to the email address used when booking. It has the team name and password (if it’s a private team) you’ll need to pass onto other team members. CAN I HOLD PLACES FOR MY TEAM SO WE CAN RUN TOGETHER? When the team captain creates a team and pays for him/herself, reserved places will be held for a maximum of 30-100 days (race day countdown dependent). When the holding period expires, places will automatically go back for sale on the website. HOW DO TEAM MEMBERS JOIN MY TEAM? Send your team-mates the team name and password from your confirmation email. The team member selects join team. Enter password (if team is ‘Private’). At the end of the form finish and pay or add another member then pay. Once paid a confirmation email will be sent to the email used at booking. There are no team discount offered for any Rookie events. A team member can transfer to another person via their confirmation email.